Cork City Councillors last night voted to give Part 8 planning permission to the €6 million public realm and flood defence plans for Morrison’s Island which will remove 80% of the flood threat in the city centre. Councillors voted 22 to 6 in favour of the proposed scheme. Lord Mayor, Cllr Tony Fitzgerald said: “This scheme will deliver a high quality public amenity space for a long neglected area of the city but also the required level of flood protection for the wider city centre. [The] vote will be warmly welcomed by traders who have suffered enormously in previous flooding events”. The scheme includes an enhanced south-facing quayside streetscape, with improved pedestrian and cycling facilities, between Parnell Bridge and Parliament Bridge, a viewing platform over the river Lee, three new public plazas, and a mini-boardwalk as well as integrated flood defences. It will be delivered along Morrison’s and Fr. Mathew Quays between Parliament Bridge and Parnell Bridge as well as a short section of works at Union Quay close to Trinity footbridge‌ These quays are the lowest lying in the city centre and are a source of regular tidal flooding. Flood defences are therefore a priority. Widespread public consultation took place around the project with briefings being made to city councillors, business associations, local business, residents, community and voluntary groups and the wider public. 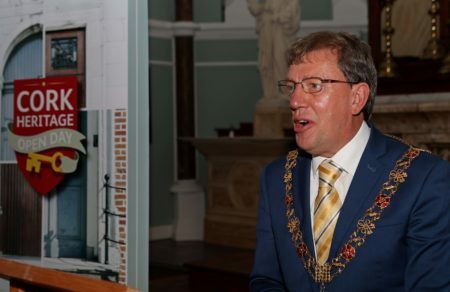 The Morrisons Island scheme was uncoupled from the wider €140 million Lower Lee Flood Relief Scheme so that the protection of the city centre could be expedited.